This three-part series discusses the top ten issues diecutters face in everyday operation and offers some tips for solving diecutting issues and enhancing production and quality. Dimensional Stability is a two-part series addressing what affects, and how to control, dimensional stability in diecutting process. Properly maintaining your cutting dies is key to controlling the quality and productivity of your diecutting line. This article addresses die maintenance, care and how to keep your dies in top operating condition. Successful diecutting operations tend to exhibit the same work habits. This two-part series by Rick Putch describes 7 key practices of successful diecutting. You can’t die-cut without producing some amount of scrap, but how much is an acceptable? How do you distinguish between acceptable and non-acceptable, and does the type of die-cut or material make a difference? A2 Anvil Cover removal and mounting video – It’s quick and easy! Power Rotation Technique – Moves covers down one position. Recommended for when cover rotations are performed daily or on each shift. Great for inline machines and orders with vent-holes and hand-holes that cause wear in one area of the cover. Also ideal for multiple outs where radial rule causes most of the wear in concentrated areas. See more examples of Power Rotation. 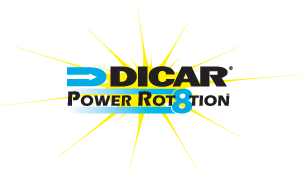 To see all our videos check out our YouTube Channel DicarSolutions!